Steve chats with Karen Green, Curator for Comics and Cartoons at Columbia University’s Rare Book & Manuscript Library, and the creator of the graphic novels collection in Columbia’s Butler Library, about her (Eisner-winning!!) 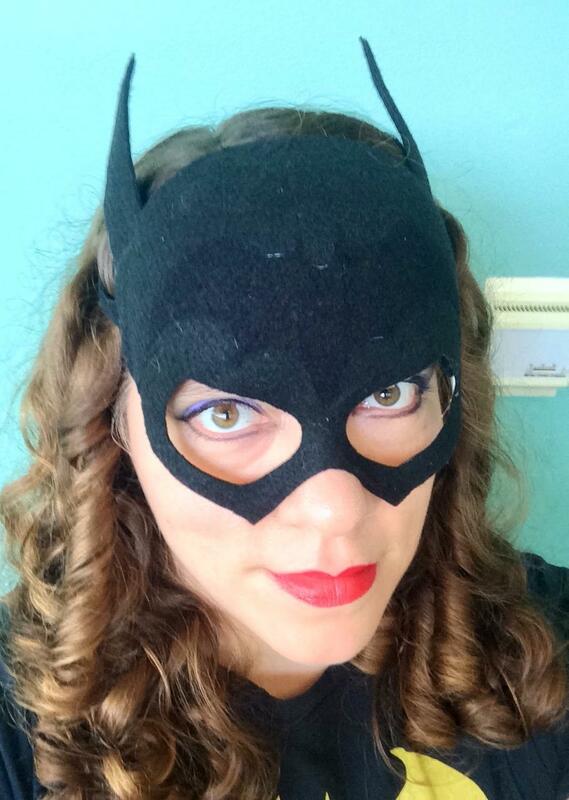 path to librarianship, defining comics, and how she teaches comics as literature. Karen Green is the Curator for Comics and Cartoons at Columbia University’s Rare Book & Manuscript Library, and the creator of the graphic novels collection in Columbia’s Butler Library. She has been an Eisner Awards judge, a Pulitzer Prize juror, a co-producer of the documentary “She Makes Comics,” and has spoken about comics at universities and comic cons across the country and around the world. Steve chats with Matthew Noe, Collection Outreach Librarian at Harvard Medical School, about what graphic medicine is, his “early” experiences with comics, why libraries should collect comics, upcoming conferences, and his work on an annotated bibliography of graphic medicine. Matthew Noe is a health sciences librarian specializing in graphic medicine and the medical humanities. He earned his BA in Philosophy (2012) and MS in Library Science (2016) from the University of Kentucky and is currently the Collection Outreach Librarian at Harvard Medical School, as well as an adjunct professor at the University of Kentucky, School of Information. He maintains the “This Week in Graphic Medicine” blog series for Graphic Medicine and regularly provides aid in developing graphic medicine collections. When not working, Matthew spends time devouring all-manner of books, re-watching childhood cartoons, and goofing off with his fiance, Gabrielle, and their two dogs, Luna and Belle. Kristin LaLonde and Thomas Maluck from the Secret Stacks podcast share their Top 10 Graphic Novels of 2015. Kristin LaLonde is an Access Services Librarian and Circulation Department Manager at the Chippewa River District Library in Mt. Pleasant, MI. Kristin received her MLIS from Wayne State University in 2011. She began her library career as a Special Librarian at the Arab American National Museum in Dearborn, MI and has worked in multiple kinds of libraries throughout her life. Most librarians from the Internet probably know her as @shinyinfo on Twitter. Her hobbies include watching Murder, She Wrote, giving people a hard time and bro-ing out. Thomas Maluck is a teen services librarian at Richland Library in Columbia, South Carolina. 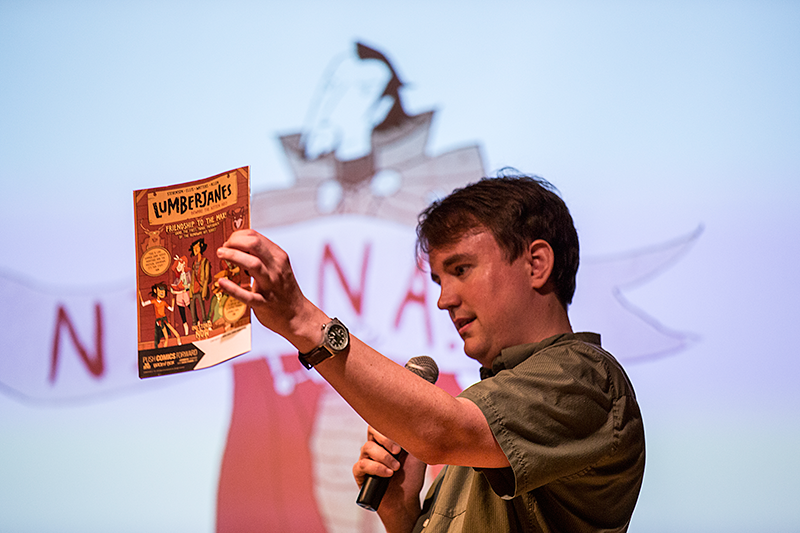 He has presented at various fan-culture and professional conventions about graphic novels, manga, and teen services, including the American Library Association’s Annual and Midwinter conferences, DragonCon, NashiCon, and New York Comic Con. He served on YALSA’s Great Graphic Novels For Teens committee for its 2014 and 2015 lists, and has published articles in Library Trends, Public Libraries, Strategic Library, and The Hub. He currently reviews for No Flying, No Tights, writes about comics for Comics, Cosplay, and Geek Culture in Libraries, and regularly blogs graphic novel recommendations on Richland Library’s website. 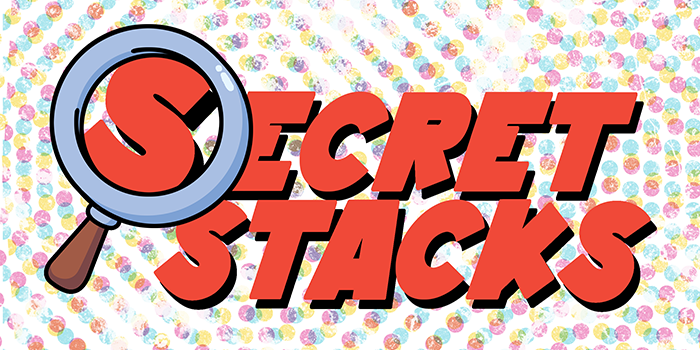 Together, Kristin and Thomas host Secret Stacks, a podcast about comics and libraries. Guest hosts Kristin LaLonde and Thomas Maluck chat with Marissa Lieberman, children’s librarian in New Jersey and anime fangirl. 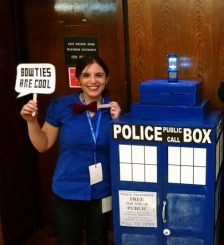 Marissa Lieberman is a children’s librarian at the East Orange Public Library, NJ. She has worked at multiple libraries in the Nassau County, NY library system before relocating to New Jersey. She reviews books for School Library Journal, VOYA, and No Flying, No Tights. 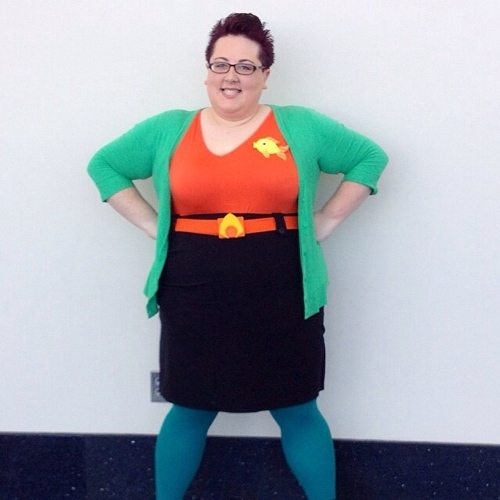 She is a contributor at Cosplay, Comics and Geek Culture in Libraries and has presented at New York Comic Con and other professional development events. 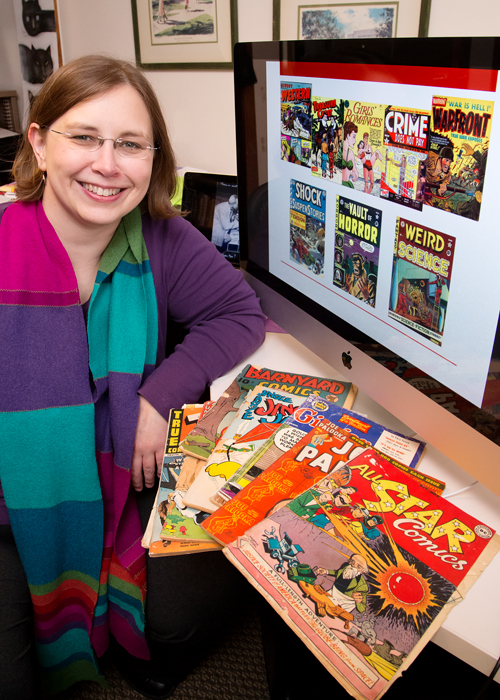 Steve chats with Carol Tilley, associate professor at the Graduate School of Library and Information Science at the University of Illinois, and researcher of the intersection of comics and libraries. Steve chats with Robin Brenner, Teen Librarian at Brookline Public Library and editor-in-chief at No Flying, No Tights. Robin Brenner is Teen Librarian at the Brookline Public Library in Massachusetts. When not presenting programs and providing reading guidance, she writes features for publications including VOYA, The Horn Book, Library Journal, and Knowledge Quest. She is an active member of YALSA and has served on awards committees including the Michael L. Printz Award, Margaret A. Edwards Award, the Boston Globe Horn Book Award and the Will Eisner Comic Industry Awards. She is the editor-in-chief of the graphic novel review website No Flying No Tights.